Target deep muscle tissue with the GoFit Extreme Massage Bar for maximum pain relief. The Extreme Massage Bar is an excellent muscle pain management tool for sports massage and trigger point therapy. Flexibility and muscle recovery are vital components for any training program. A great way to manage muscle pain and speed up post-workout recovery is through trigger-point therapy and self massage. Target deep muscle tissue with the GoFit Extreme Massage Bar for maximum pain relief. The Extreme Massage Bar is an excellent muscle pain management tool for sports massage and trigger point therapy. Flexibility and muscle recovery are vital components for any training program. A great way to manage muscle pain and speed up post-workout recovery is through trigger-point therapy and self massage. The GoFit Extreme Massage Bar is designed to awaken sore muscles pre-workout and to provide maximum relief post workout. 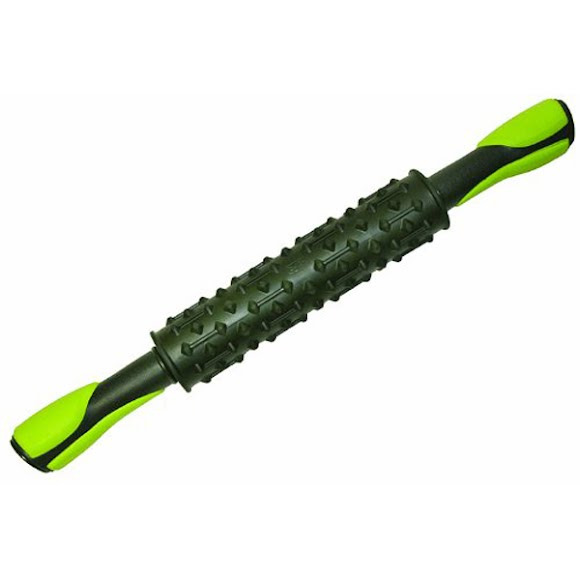 This unique, firm relief-surface pattern with ball-bearing roller system, gets through to deep muscle tissue, knocking out knots and relieving soreness. Roller Size-Length: 8 in. Diameter: 2 in. Measurements Roller Size-Length: 8" Diameter: 2"